The road from Kandy to Nuwara Eliya is scenic. Whether by train, local bus or private car, the journey is a great experience. 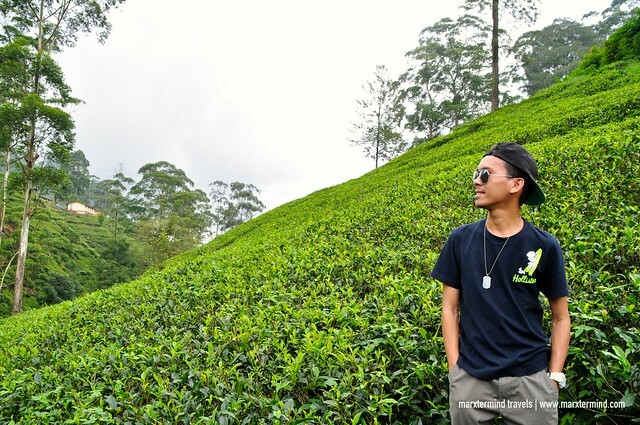 It has a winding road that passes by the mountainous area with a lot of tea plantations. The trip up into the highlands offers a lot of spectacular views. If travelling by private vehicle, there are also some stopovers for waterfalls and tea outlets. Good thing we had our own car from JNW Lanka Tours to experience this scenic road trip. We left Kandy at around 9:00 AM. 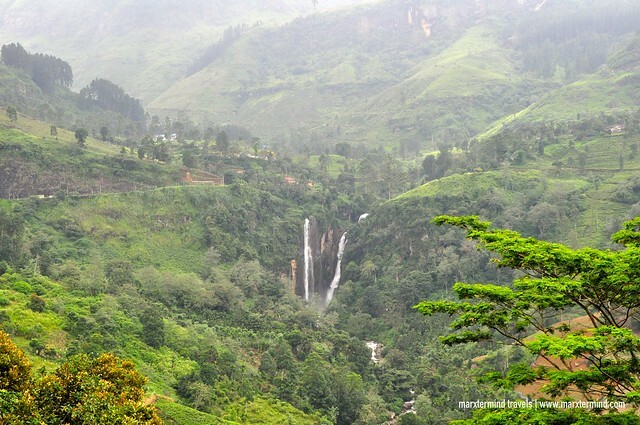 Travel time from Kandy to Nuwara Eliya usually takes around 3 hours by car. But since we still checked out some interesting attractions on our way, our travel time took longer. We spent around 6 hours on the road before we finally reached Nuwara Eliya. But the long drive was enjoyable. Aside from the scenery, we were able to enjoy our visit to some tea outlets and magnificent waterfalls. Our first stop was Ramboda Falls. 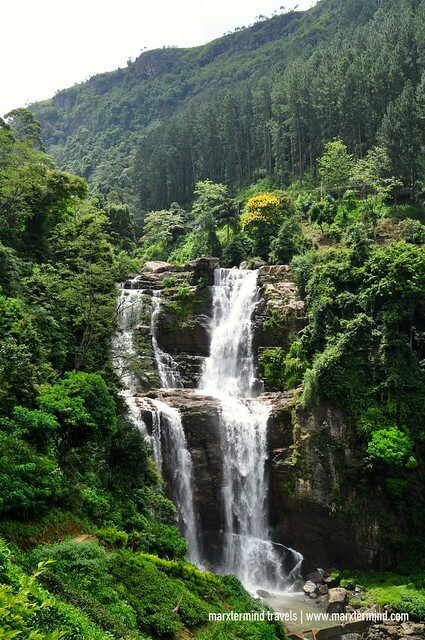 Located in Pussellawa area, it is the 11th highest waterfall in Sri Lanka. It has two cascading drops set in the hills among the tea plantations. The waterfalls can be easily seen from the road. We stopped by a view deck overlooking the stunning waterfalls surrounded by the misty mountains. It was a unique and beautiful sight. The waterfall looks more impressive up close, though. So after we took some photos from the view deck we went to Ramboda Falls Hotel, which has an easy access to the bottom. The view was much better but it is needed to hike downhill to reach the perfect spot. It was a bit strange that we had to pass through the hotel. The staff was nice and friendly enough to let us through. Perhaps they are already used to tourists going to their vicinity to see the waterfalls. Our second stop was Bluefield Tea Gardens. It was nearing lunchtime when we stopped by the tea plantation. They have a nice restaurant that Karu, our chauffeur, suggested that we could have our lunch. We went to the restaurant but instead of placing our orders first, we noticed some Tamil workers outside picking tea leaves. We went out and took some photos. The workers were happy to strike some poses. It looked like they were already used to tourists taking photographs but they might ask for some money in return. So it would be better to ask permission first. The tea factory also has short tours showing how tea is being processed. It would have been a nice experience but we weren’t able to join one anymore. After we had our lunch, Karu told us that we could just had the same type of tour in the next plantation. 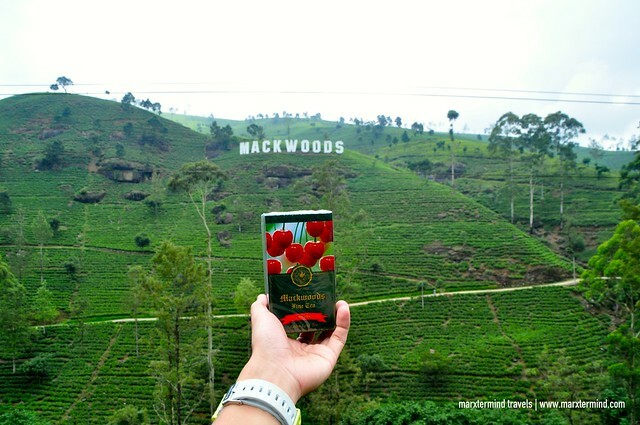 Our last stop was Mackwoods Tea Plantation. This is one of the stops that I asked Karu for us to visit. So before we finally went to Nuwara Eliya, we dropped by the tea plantation. Mackwoods is a popular tourist attraction with panoramic views and lovely garden to sit and enjoy a cup of tea. The plantation offers remarkable landscapes. When we arrived, we immediately explored the area for some photos. 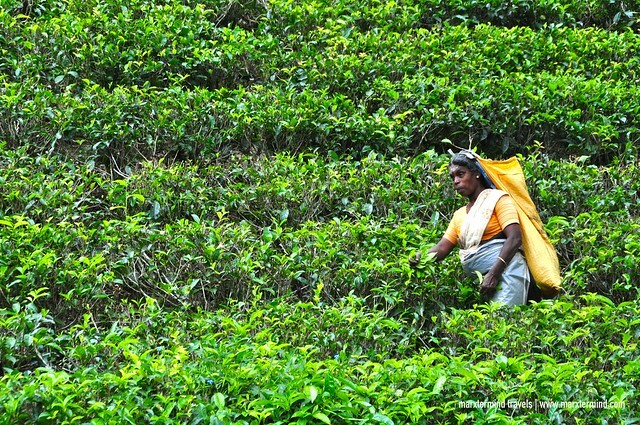 The factory isn’t just for spectacular views only but also to learn about tea production. We joined one of the tours. It was short for about 15 minutes with basic information about tea production process. It was a nice one because our tour guide explained the process well. The last stop of the tour was to see the end products at their store. My friend bought a small box to take home. The long drive from Kandy was surprisingly enjoyable. The stunning scenery kept us entertained during the entire ride. Although it took us longer to reach Nuwara Eliya because of some stopovers, I guess there were still no regrets in the end. 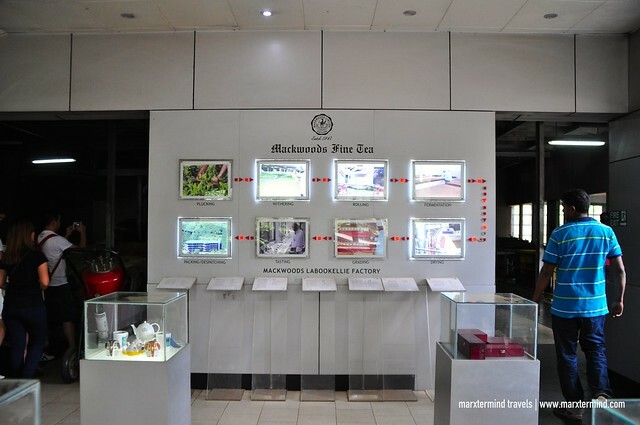 Our stopovers to Ramboda Falls, Bluefield Tea Garden and Mackwoods Tea Factory made our road trip unforgettably more charming. Explore Sri Lanka with JNW Lanka Tours, one of the leading destination management companies in Sri Lanka since 1979. JNW is a team of professionals who has years of experience in the travel industry. The company offers fully integrated range of hospitality services, ranging from customized holiday tours, event management, special interest tours, business tours, car rentals and other travel services. Great post. Let me add something from my side. 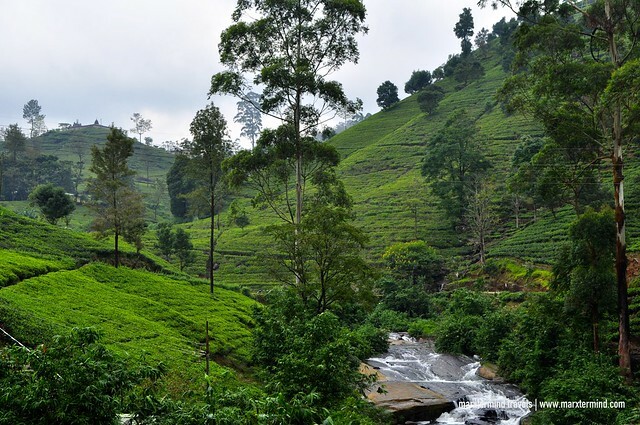 The train is by far the best way of reaching the tea country from Kandy as it snakes through the most glorious scenery, including tea plantations. If available we book you into the observation cart, which has much bigger windows to look out from. The trains depart Kandy at 8.55am and 11.00am reaching Hatton, Nuwara Eliya and Bandarawela mid to late afternoon.